After reading Jay McInerney's "The Juice", a collection of wine essays he wrote for the Wall Street journal, I had to try a Rosé Champagne. I need to clarify a few things here; when I talk about Champagne I am talking about sparkling wine made in Champagne, France, under the rules of the appellation. Calling anything else Champagne is ignorant and something we are really very guilty of doing in Australia. Call it bubbles, call it Australian sparkling, I don't care, Yellowglen Yellow is not Champagne. If you've never had a glass of Champagne, do. Do it now. 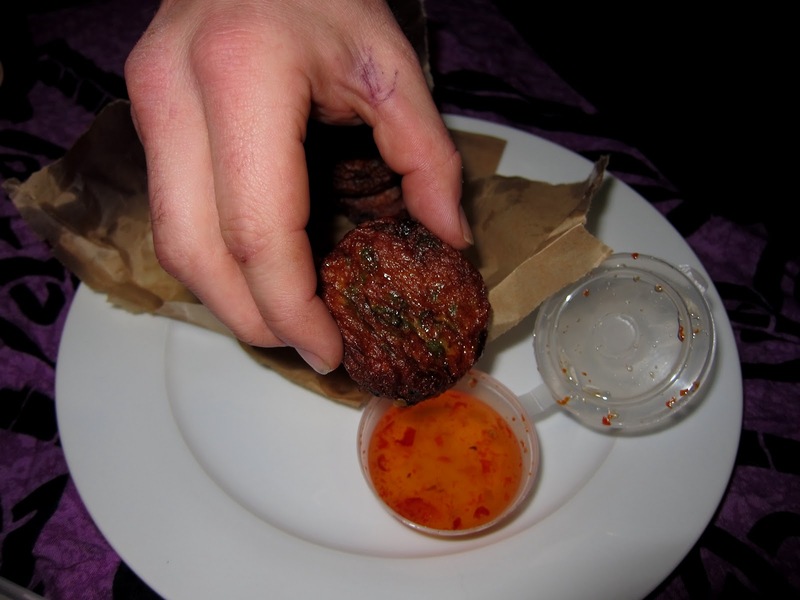 There is a stunning complexity and subtlety that you just don't get with most other sparklings. Part of it is the terroir; the chalky soils and relatively cool temperatures of the region that produce not terribly ripe grapes and base wines with a high acidity. 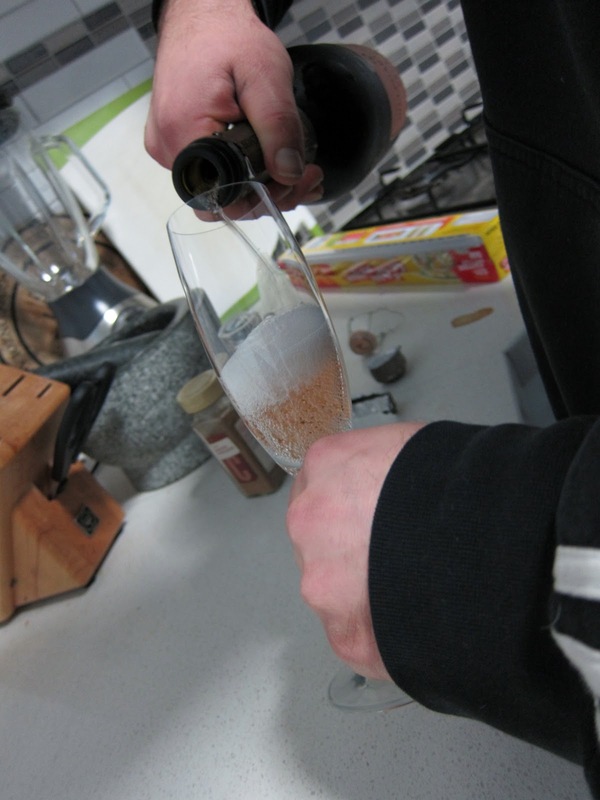 Then there is the blending of up to 70 base wines (in the large Champagne houses) to achieve a consistent style. Very importantly, all Champagne has to undergo a second fermentation in bottle and spends some time on lees (yeast cells that have died for your wine drinking pleasure) to give those lovely toasty bready, cakey, biscuity flavours you get in Champagne. This is called the traditional method. There is a lot more to it and if you are interested there is a plethora of information online (of course) or if you want to see it in action, Domaine Chandon in the Yarra Valley, owned by the Champagne House Moët & Chandon, has a little tour where they show you the steps involved in the traditional method (read about it here). You also get to drink bubbles at the end. Just to be confusing, they do use the traditional method for their Australian Sparklings because they make damn fine wine but because it is made here it can't be called Champagne. Back to the Rosé. 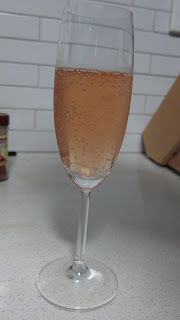 When Champagne Rosé is made they often blend a little red wine in to get the colour and flavour they are after (they can make a rosé base wine but this is less predictable) and this gives the wine a delicate red fruit character or slight berry flavours. Enough theory. 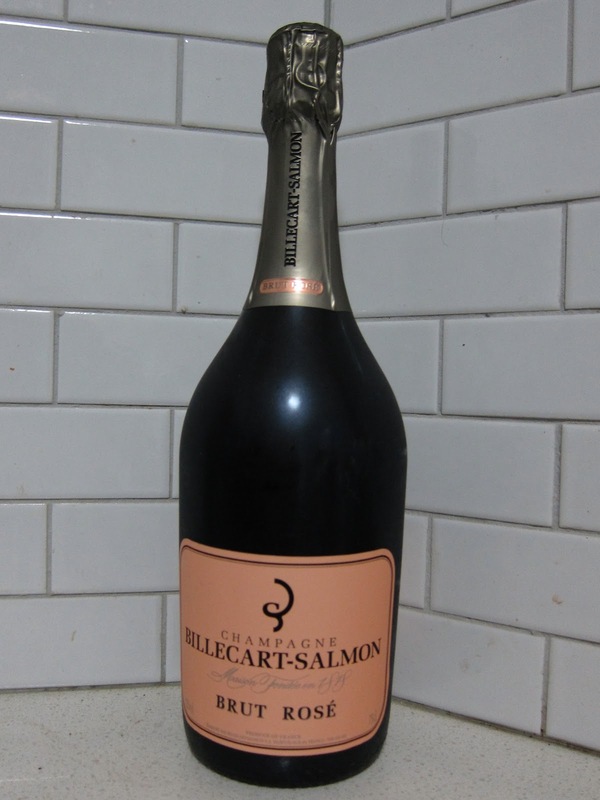 I decided on a Billecart-Salmon Rosé Champagne because they make one of my favourite NV (non-vintage) Champagnes. Here are some pictures. I will start by saying, I think this is one of those cases where what I imagined it would be like was better than the reality. 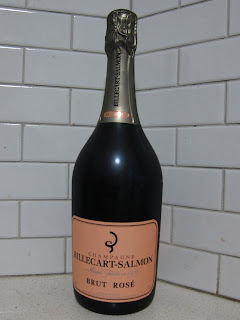 I LOVE Billecart-Salmon NV for it's beautiful appley flavours and the way it changes and develops in the glass. This too had appley flavours overlaid with berries, mostly strawberry with a little red currant and some lovely biscotti notes but there was no changing or developing. It was just a very very pleasant very drinkable fruity champagne. At least I know now what i like. 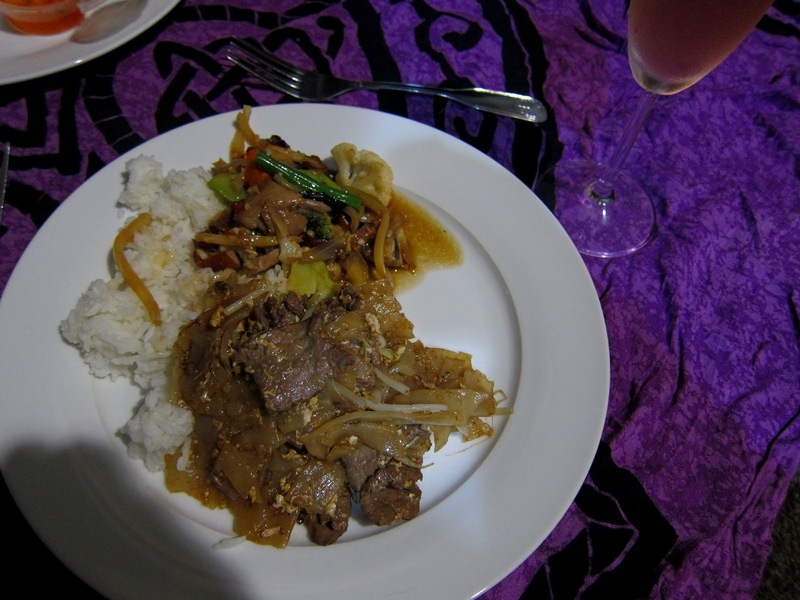 It also went incredibly well with the thai takeway we had. 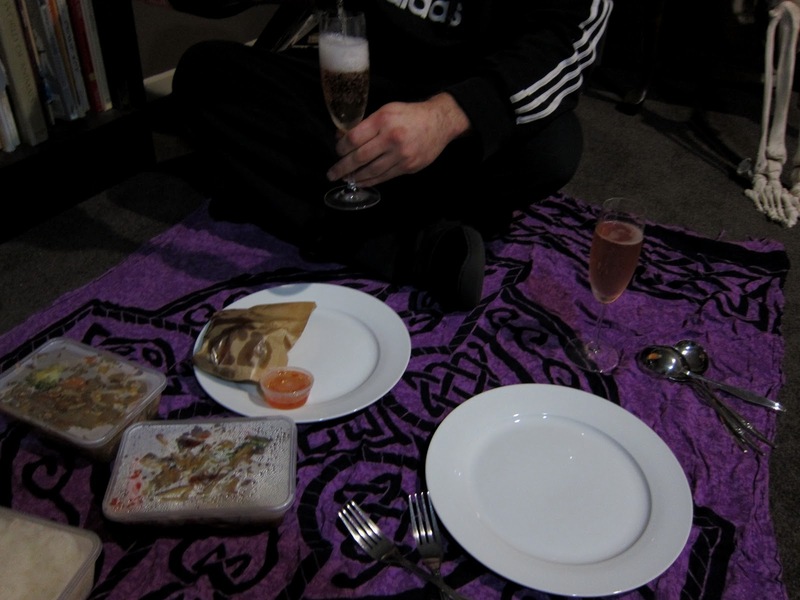 A little blasphemous maybe, Champagne with cheap takeaway but this takeaway is magnificent from Asian Kitchen and Bistro and super lovely when had as a floornic (picnic on the floor- get it? ).